Different types of may come with varying enclosures. It could be Velcro, elastic or plastic at the back. The size does not really matter when purchasing caps because they are adjustable to fit everyone’s head. 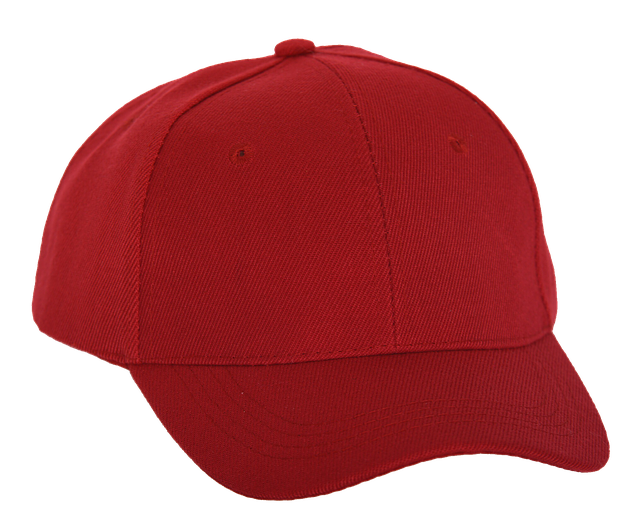 The common cap types include baseball cap, cricket ball cap, and golf cap. Cap – a headgear characterized by an unshaped flat crown, a peak and a visor. It does not have a brim. A cap is soft. Hat – it’s a circular shaped covering with a shaped crown and a brim encircling it. 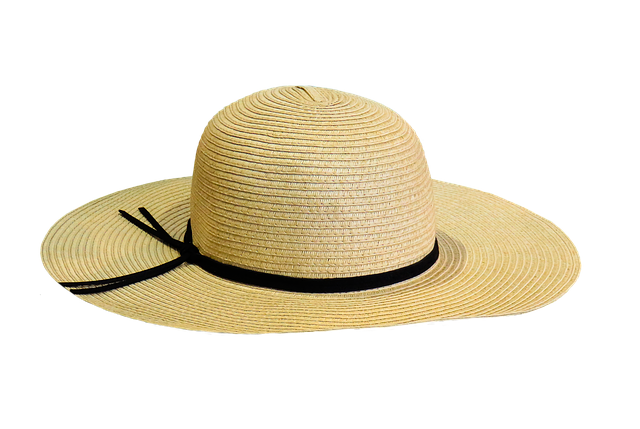 Hats – used to shade the sun, make a fashion statement, worn for ceremonial or religious purposes. They can also be worn as part of uniform usually by military and police personnel. The hat can denote ranks within such law enforcement positions. Caps – They can be used to block sunlight to the face. Different designs allow for use as a fashion headgear. Women rarely put on caps unless it’s in sport as caps are prevalent in baseball, cricket and golf. a cap usually has adjustors to fit any head size whereas the hat does not have adjustors. As thus, a proper size, usually bigger, is recommended. A hat shades the sun while the cap blocks sunlight with its visor. Lusi Madisha. 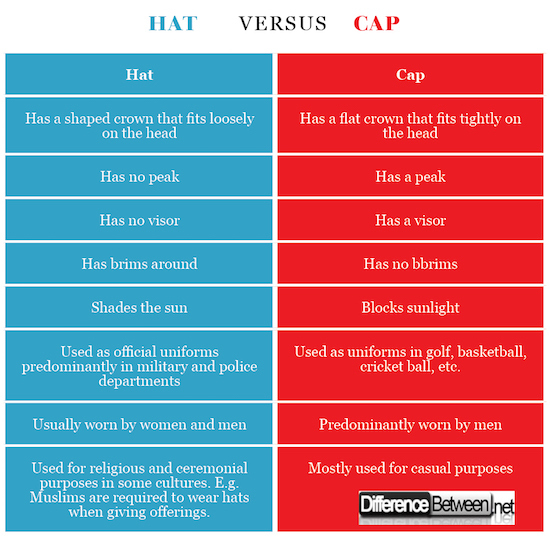 "Difference Between Cap and Hat." DifferenceBetween.net. March 26, 2018 < http://www.differencebetween.net/miscellaneous/fashion-beauty/difference-between-cap-and-hat/ >. Harrison, M. (1960). The History of the Hat. Herbet Jenkins. Amphlett, H. (2012). Hats: A History of Fashion Headwear. Courier Corporation. Page 310. (16 Nov. 2012).